I decided to get away from Vancouver BC for a couple of weeks or so to avoid the throng of Winter Olympics visitors and to celebrate the Chinese Lunar New Year in Malaysia this year. During this period, please note that I will not be posting new recipes regularly. 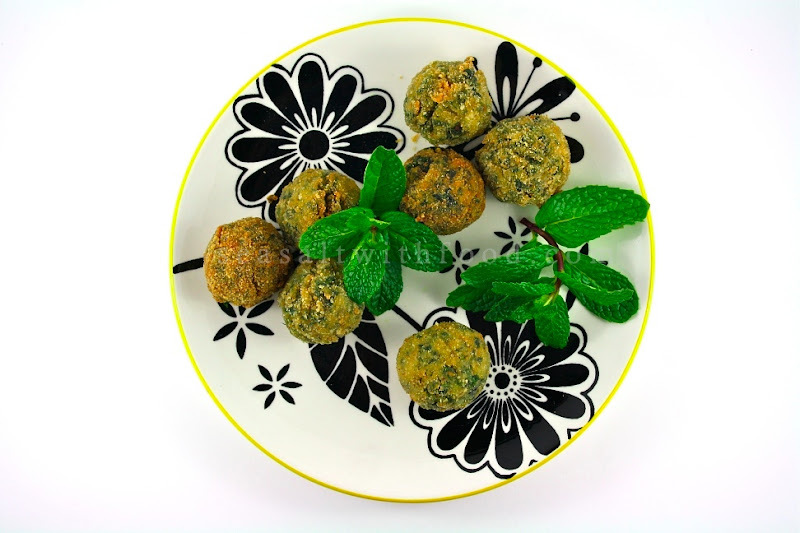 Here, I have two delicious and healthy appetizers to share with you this week. 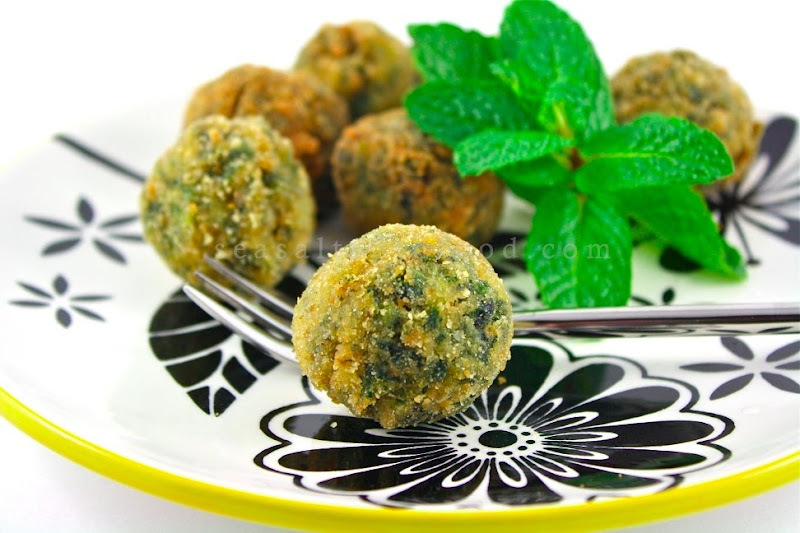 This is Greek Spinach Balls or Spanakokeftedes. 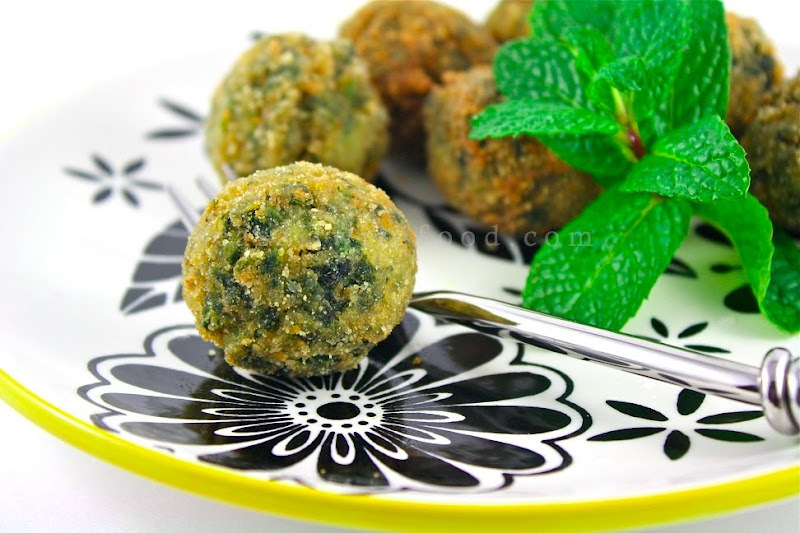 These spinach balls are crunchy on the outside and soft in the inside. The recipe had called for Kefalotiri cheese. But, I had to substitute it with Parmigiano-Reggiano instead as I was unable to find any at my local grocers. Using regular Parmesan cheese for this recipe will also be fine. Wash and clean the spinach, removing the stems. Do not drain. Place in a large saucepan, cover, and steam over high heat until wilted, about 3 minutes. Drain and chop. Mix all ingredients except breadcrumbs and oil. Shape the mixture into 1-inch balls. Roll in breadcrumbs and deep-fry in hot oil. Drain on paper towels and serve warm. Yum, they look wonderfully delicious and so simple to make. Beautiful pictures! Have a great time in Malaysia. Gong Xi Fa Chai.